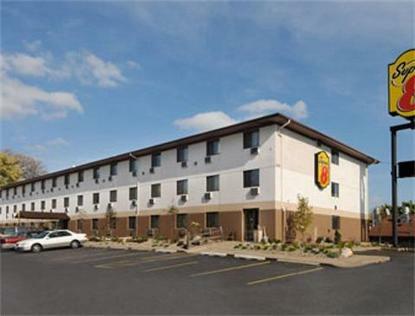 The Super 8 St. Paul is pleased to provide our guests with exceptional service and quality amenities at an affordable price. Whether you are here for Business or Leisure you can enjoy our Free High Speed Wireless Internet in all guest rooms, Free Cable, Pay Per View Movies and much more. After a restful night of sleep, you can look forward to starting your day with a Complimentary Super Start Breakfast. To make your stay even more rewarding, please join Wyndham Rewards, our guest loyalty program. We have several restaurants nearby Sonic, Perkins, Wendys, Culvers, and Taste of Thialand. We are located minutes from The State Capitol, Science Museum of Minnesota, Downtown St. Paul, Metrodome and Mall of America.